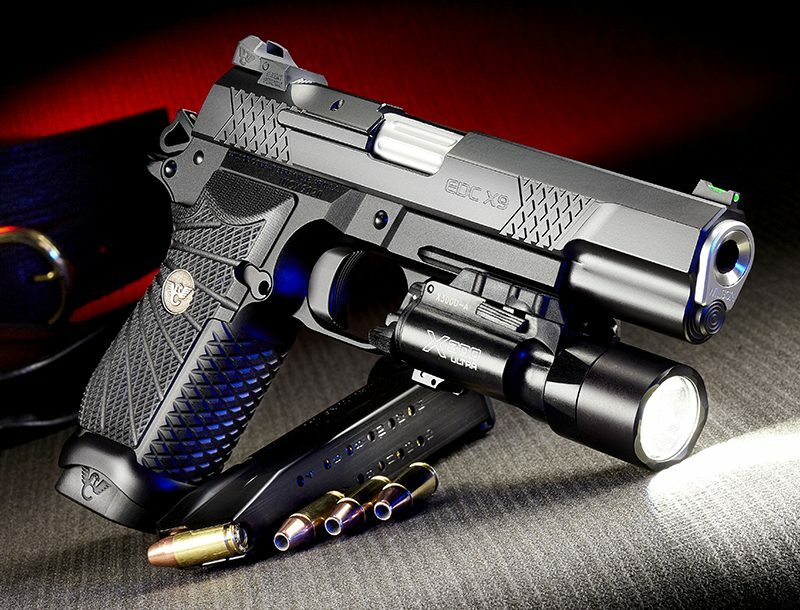 LaRue Tactical and Sig Sauer stepped up to arm these TX special operations units, with big-bore DMRs for long-range threats and 1911s with fast triggers for up-close-and-dangerous engagements. When the Texas Department of Public Safety (DPS) Special Operations Group was formed, the unit adopted the select-fire Colt 6940 and the Colt 6920 with either an 11.5- or 14.5-inch barrel. 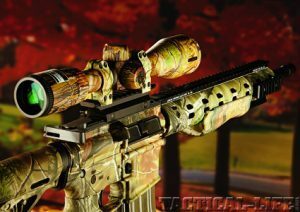 From the perspective of the tactical operator, the short-barreled 5.56mm M4 Carbine with a compact red-dot optic has proven to be best suited for operating in confined spaces. Then the day came when members of the Texas DPS SOG found themselves involved in a standoff with an armed individual who reportedly shot a civilian and two deputy sheriffs and later fired on Texas DPS helicopters. 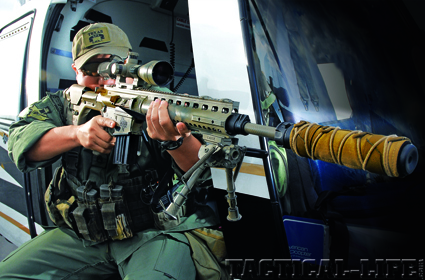 During this tactical operation, members of the Texas Ranger SWAT team, along with Texas DPS tactical flight officers, served as aerial rifle operators while flying over the high-threat target area in three DPS helicopters. The reason it was necessary to deploy an additional number of aerial rifle operators was to provide suppressive and covering fire so other tactical team personnel could better engage the active shooter and be able to rescue law enforcement officers who were pinned down and unable to withdraw from contact. 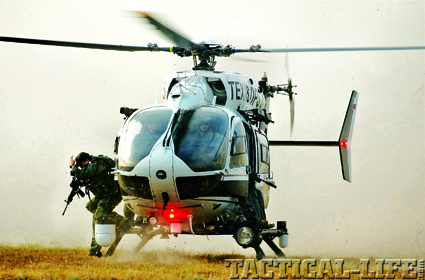 After filling each helicopter with as many spare 30-round M4 magazines as possible, the three Texas DPS helicopters took off and delivered Texas Ranger SWAT team operators and tactical flight officers to the airspace over the subject’s ranch so they could engage the active shooter. It was during this engagement, which resulted in firing several thousand rounds of 5.56mm ammunition, that the Texas DPS decided it was necessary to arm some of their sworn personnel with a heavier-caliber, semi-auto, magazine-fed rifle that could effectively penetrate certain obstacles and barriers while also delivering effective stopping power.